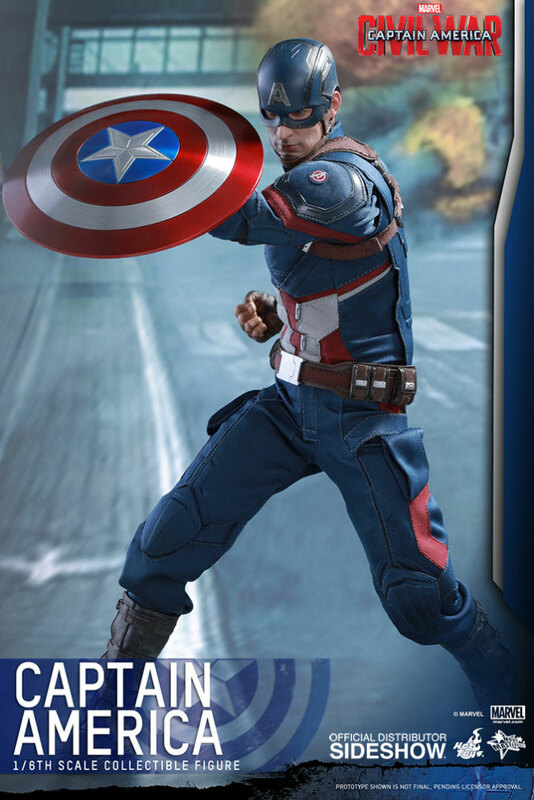 Arriving in time for Marvel’s biggest blockbuster movie of 2016 is this Captain America: Civil War Sixth Scale Figure by Hot Toys. 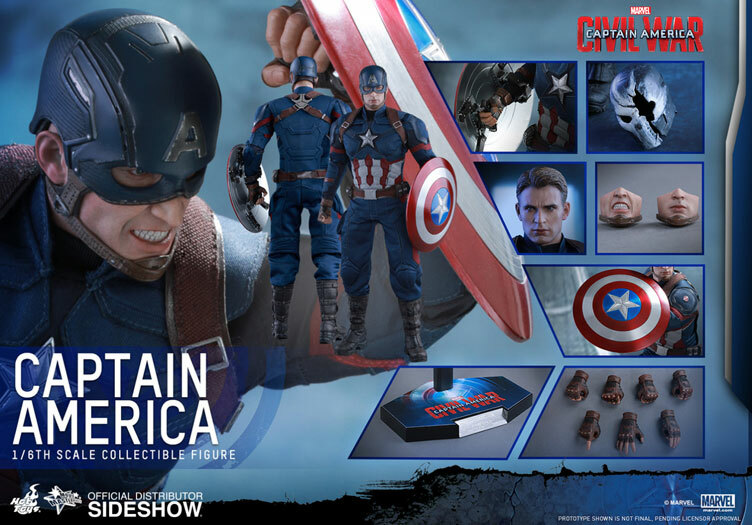 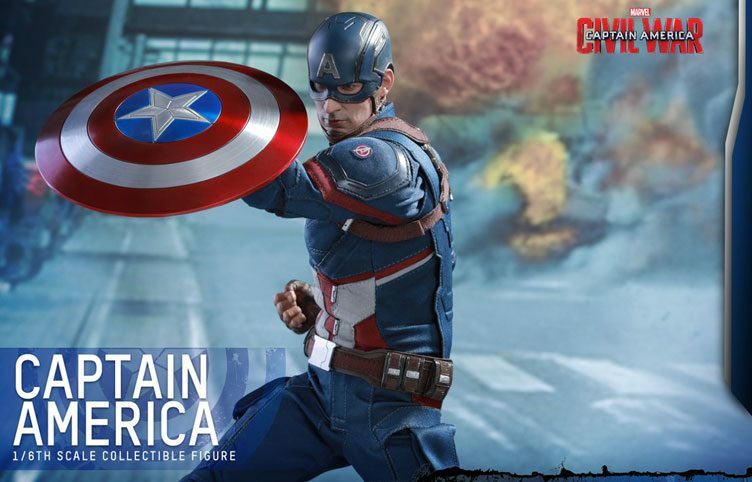 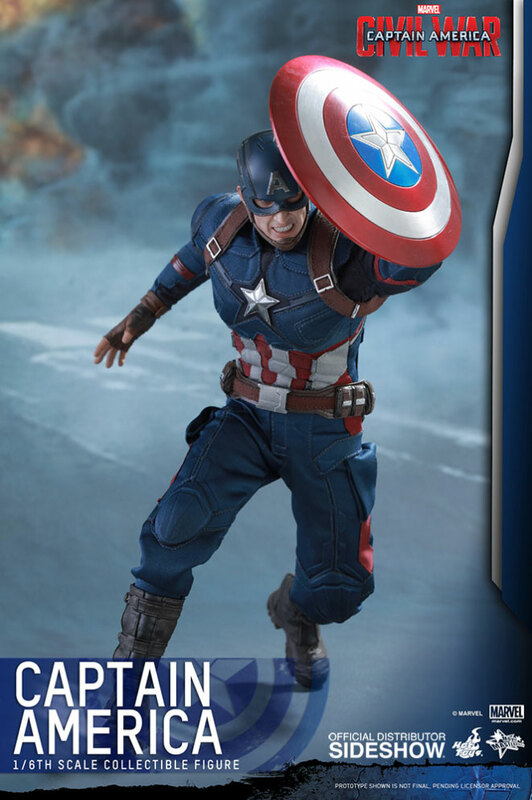 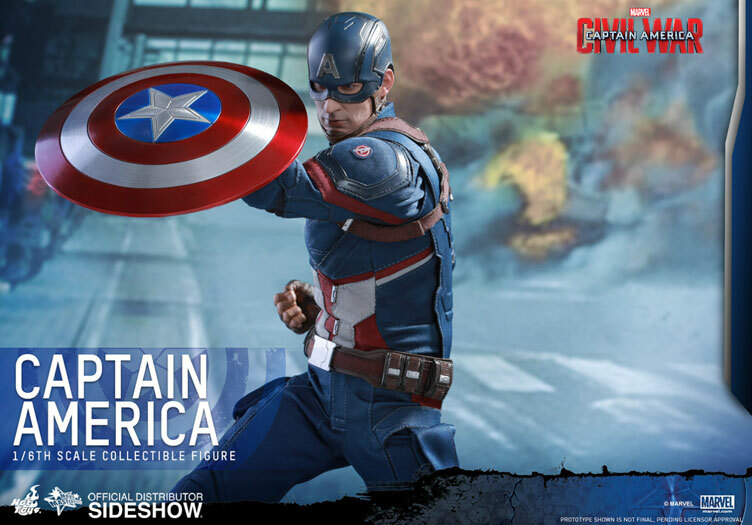 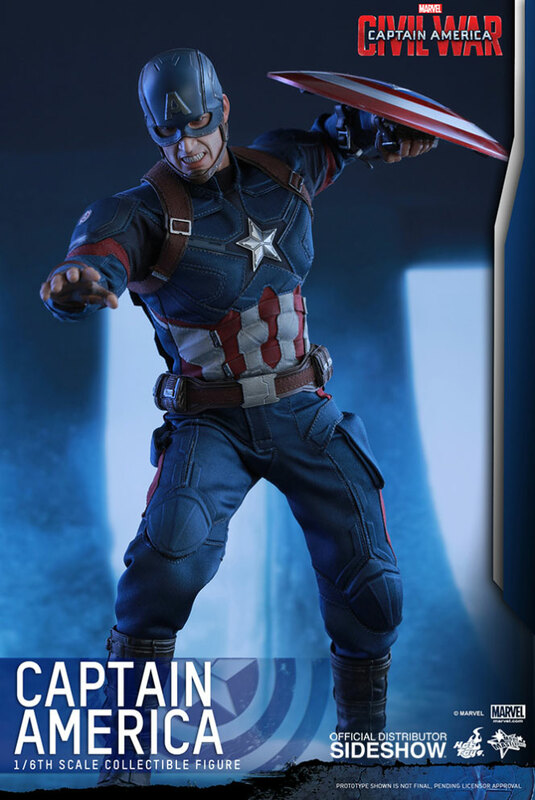 Capturing Steve Rogers in his red, white and blue suit and ready for battle, this 1:6 scale action figure is specially crafted based on the image of Chris Evans as Captain America in the film, complete with signature shield and tons of other awesome accessories and details. 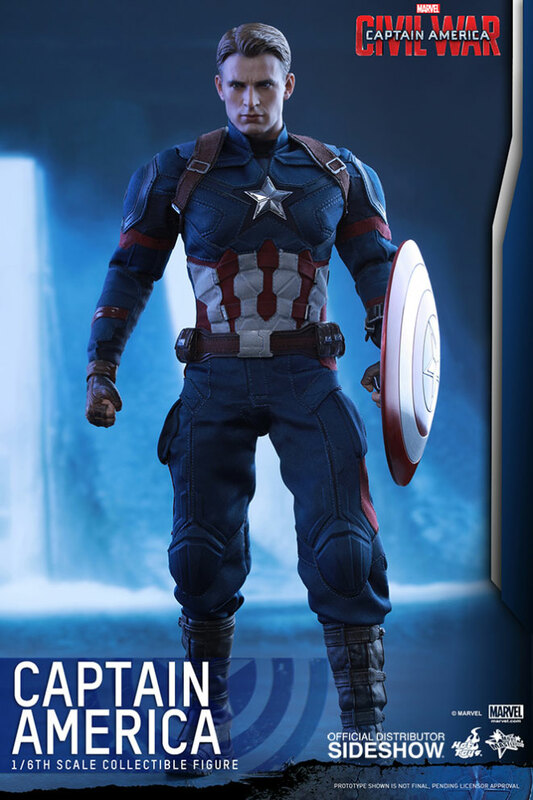 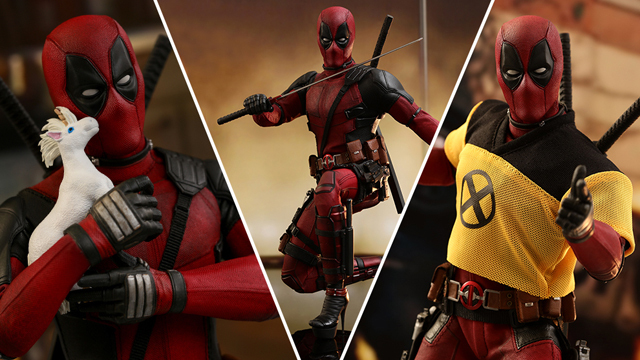 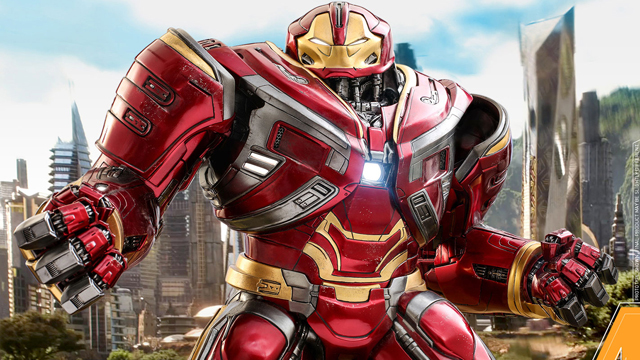 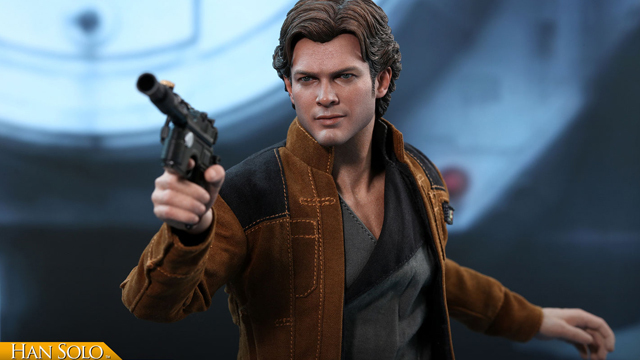 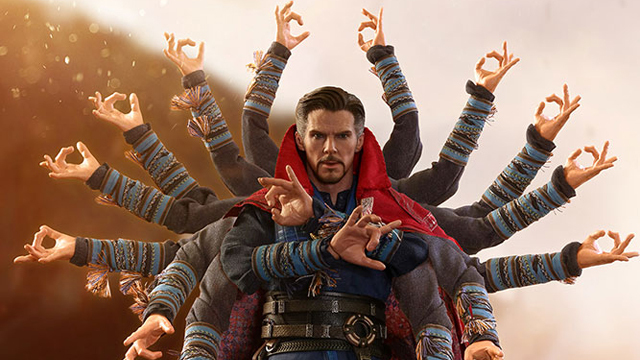 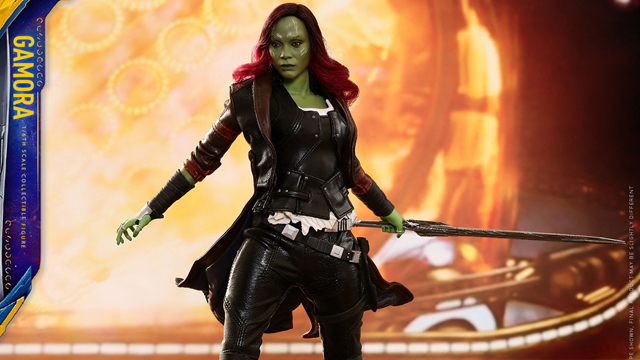 Standing at just over 12-inches tall and equipped with interchangeable parts so you can display him in various poses and action stances, this sixth scale Cap comes geared for combat with interchangeable head sculpts and facial expressions, a newly developed body with over 30 points of articulation, costume, weapons and a broken Crossbones helmet to hold triumphantly while displayed on the Team Captain America figure stand. 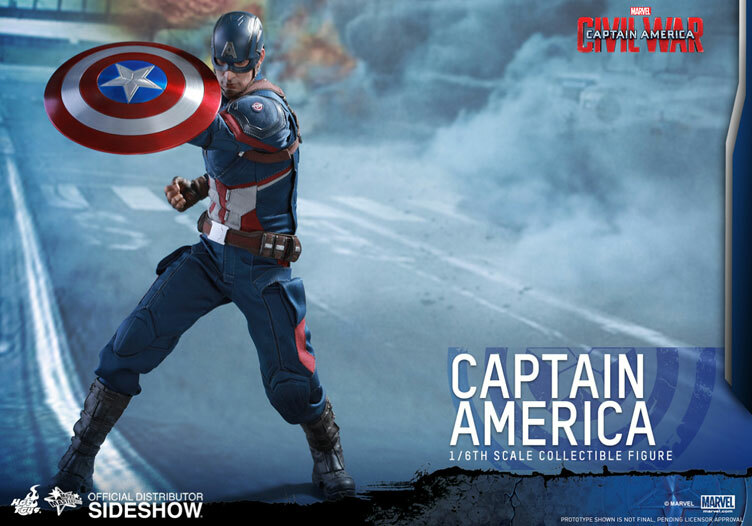 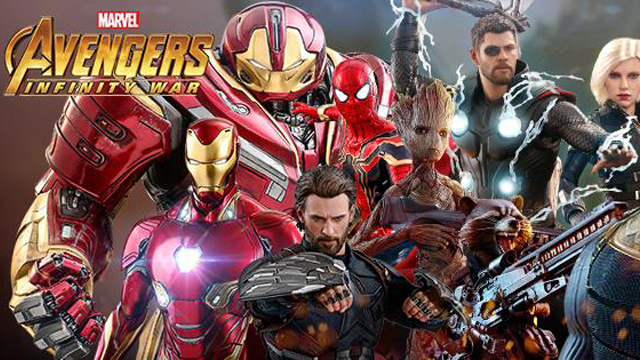 This new Captain America: Civil War Movie Masterpiece Series Sixth Scale Figure by Hot Toys is available to order at Sideshow Collectibles with an expected ship date of July 2016.